DISTURBING ASSEMBLED FOOTAGE FILM "INFLICTION" AVAILABLE NOW ON DVD, VOD, DIGITAL HD IN THE U.S. AND CANADA! 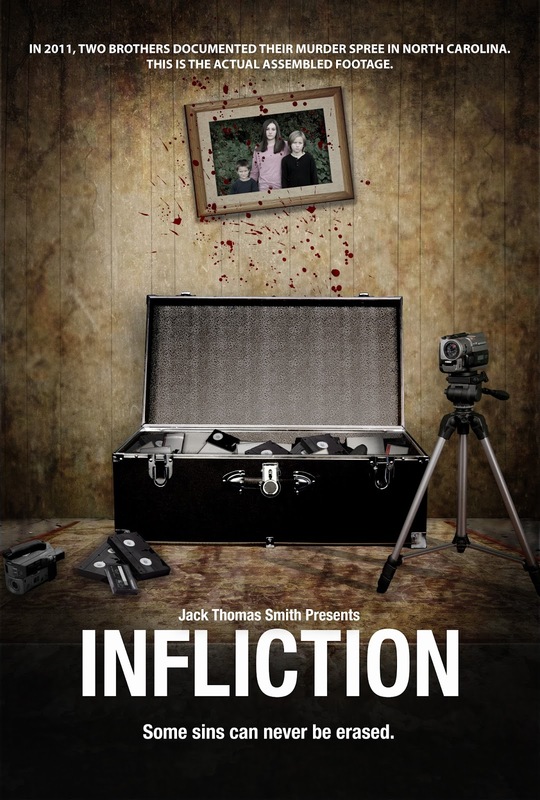 Feature film director, writer, and producer Jack Thomas Smith new horror feature film "Infliction" is available now in the U.S. and Canada on DVD, VOD, and Digital HD by Virgil Films & Entertainment, which is the company that distributed "Supersize Me." You can buy the film on Amazon here. His last film "Disorder", which he wrote, produced, and directed, was released by Universal on DVD and Warner Brothers on VOD & PPV. It also screened at Cannes and the Raindance Film Festival in London. He is also a member of the Horror Writer's Association.